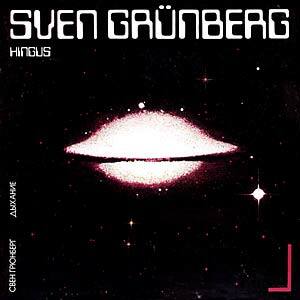 Bureau B presents a reissue of Sven Grünberg's Hingus, originally released in 1981. Sven Grünberg is a famous musician for film and theatre in Estonia - an old hand in the field of electronic ambient music. 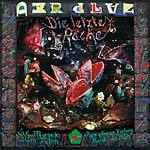 In 1974, whilst still a music student, he and Härmo Härm founded Mess, a progressive rock band. Grünberg was the first musician in Estonia to use a synthesizer. The ambient electronica of Hingus (Breath), recorded between 1978 and 1980, was spiced up with prog rock and a nod to the space age - not to mention a pronounced Asian influence on the title track. Grünberg had been interested in Asian music and instruments, particularly Tibetan music, since his youth, as can be heard in his work from that time. The 23 minute title track invites us into a fascinating, futuristic world of sound, laced with far eastern tonality, embellished with a church organ, extremely rare synthesizers and extraordinary percussion effects. Organs from the church in Rapla and the cathedral in Tallinn can be heard on "Hingus I" to "Hingus IV". The religious tones are interspersed with synthesizer sounds and orchestral percussion or effects, ascending fleetingly into ecstasy. Tubular bells, cymbals (piatti), a ratchet (raganella), tambourine, gongs (an east Asian tam-tam, for example), glockenspiel and castanets are all featured. Grünberg also used various electronic instruments: the HH Synthesizer, HH Percussion Synth and a KS Synthesizer. 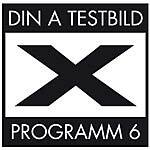 Not surprisingly, little information can be found on these machines as they were created by Härmo Härm and Koit Saarmäe themselves, the only two people building synths in Estonia in those days. The exotic assemblage also included a Selmer Clavioline from France, an ARP Omni and a Logan String Melody. The other two tracks, no less superb, are more in the stylistic tradition of the Berliner Schule/Berlin School (Klaus Schulze, Tangerine Dream). Hingus merits a special place in the history of ambient electronica thanks to its remarkable combination of church organs, synthesizers, orchestral percussion and echoes of Asian instrumentation. An underrated classic of the genre, there are moments when its extraterrestrial beauty transports the listener into the higher realms of psychedelia.